Couch potato alert! 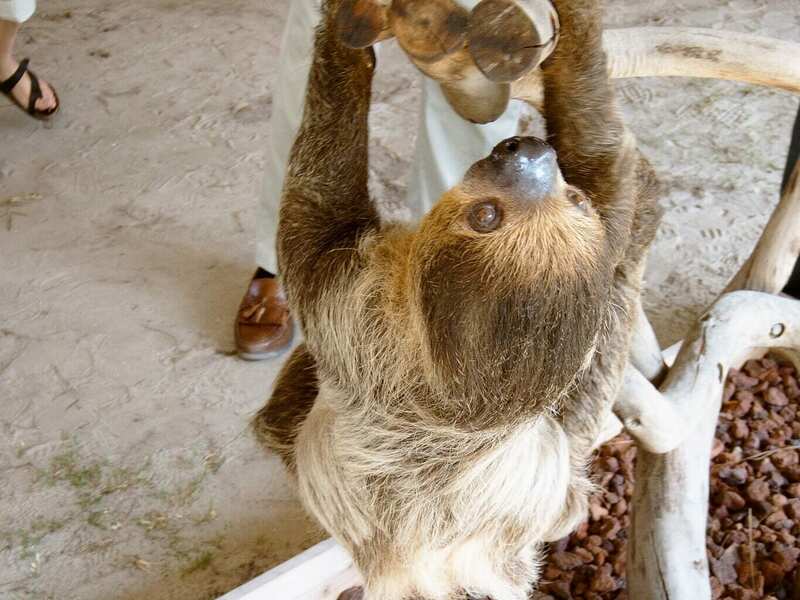 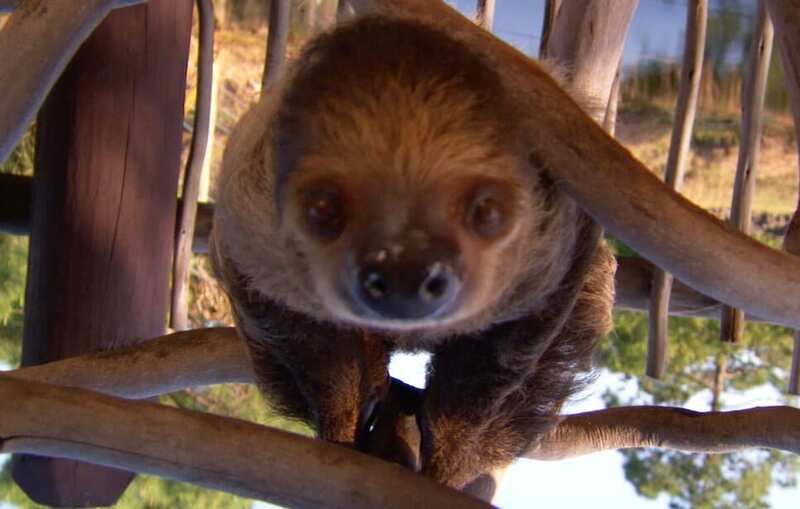 Arguably the slowest-moving mammals in the world, sloths will only descend from the forest canopy to move to another tree or go to the bathroom. 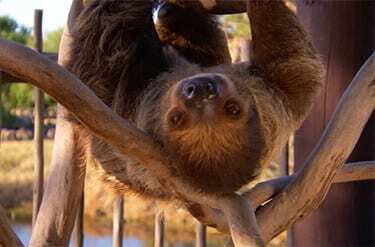 Two-toed sloths sleep for about 15 hours each day! 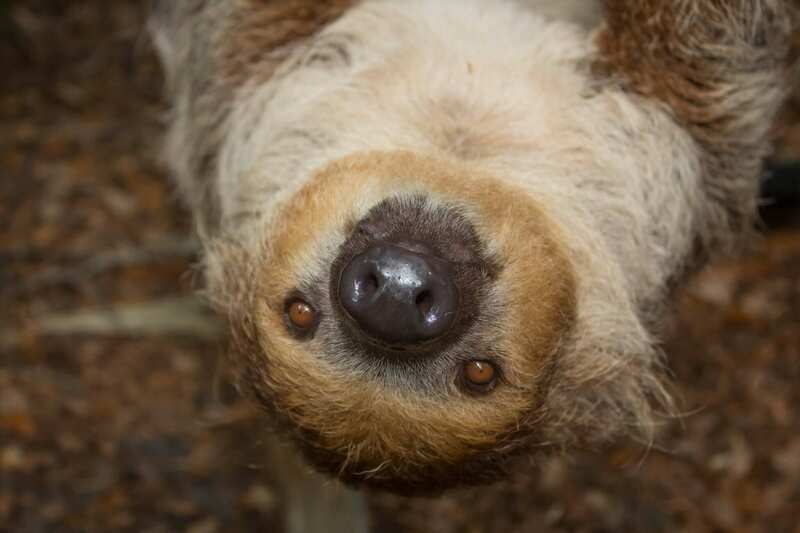 Their individual hairs have tiny grooves where algae can grow; this adaptation helps sloths blend in with the greenery of the forest.